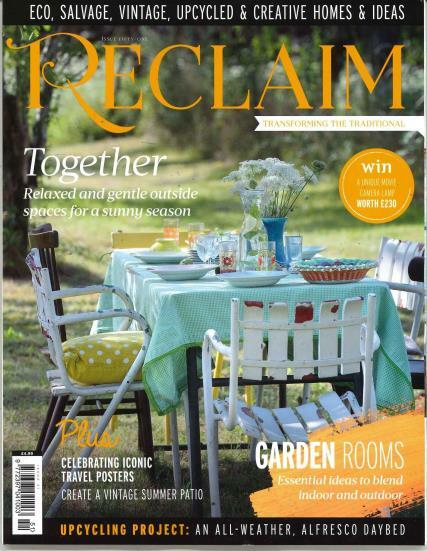 An alternative to mass producted decor, Reclaim celebrates traders, interior designers and those who choose to work with reclaimed materials. Fresh, new outlook on a much used subject. Newish magazine on stands. Very fresh to the market in articles and general layout. I often read as soon as it is received but will go back to it time and time again.